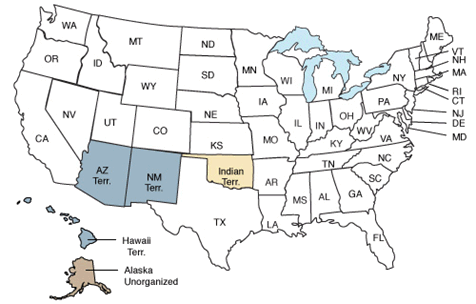 46 states participated in the 1910 census, including the new state of Oklahoma and the territories of Alaska, Hawaii, Arizona, New Mexico and Puerto Rico. It took approximately $15,968,000 and 70,286 enumerators to complete the 1910 census, producing a total of 11,456 pages in published reports. 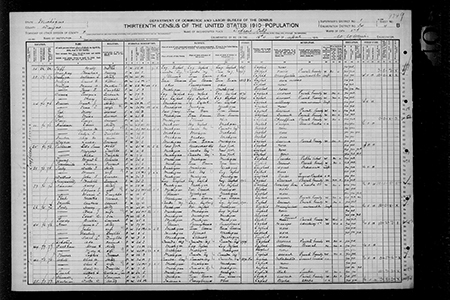 The 1910 census switched page orientation from portrait to landscape. 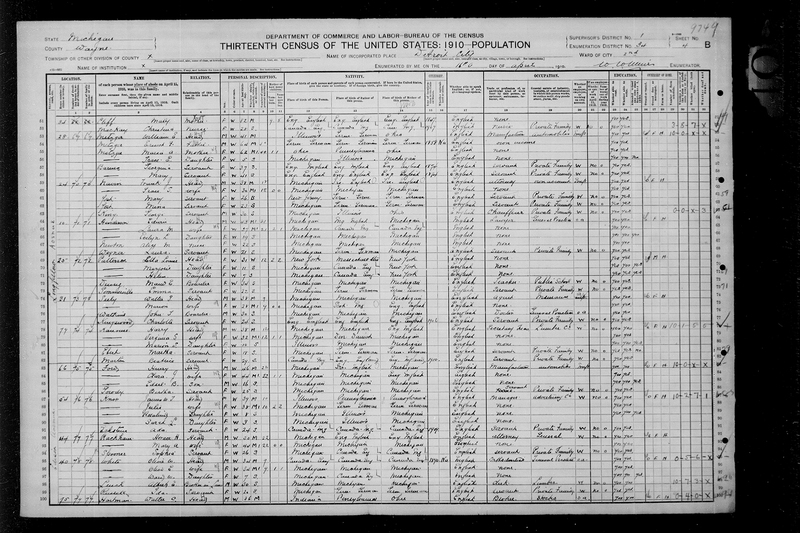 No major loss of records for the 1910 U.S. census. Born July 30, 1863 in Dearborn, Michigan, Henry Ford's launched the Ford Motor Company in 1908. Ford improved upon his first horseless carriage by crafting the Model T, which was affordable, easy to drive, simple to repair, and allowed the Ford Company to post 100 percent gains in the first years of operation. Arguably Ford's largest impact was on the manufacturing industry itself. He revolutionized manufacturing with the moving assemble line method of mass production. Ford earned his reputation as a leading businessman by attracting skilled workers with unparalleled steady wages and profit sharing. Henry Ford died in 1947 at the age of 83. Henry Ford in the 1910 census, listed as an automobile manufacturer living in Detroit. May 30, 1911: The Indianapolis 500 auto race is held for the first time. March 12, 1912: The Girl Scouts, formerly known as The American Girl Guides, is formed. January 15, 1915: The United States Coast Guard is established replacing the U.S. Life-Saving Services.